Celebrate the master brewer in your life with our personalised t-shirt. 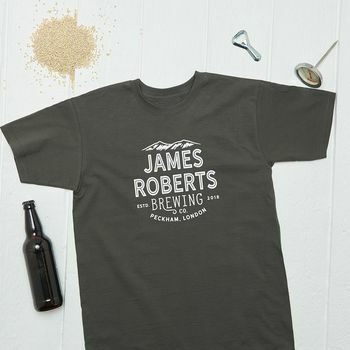 This thoughtful t-shirt can be personalised with your master brewer's name, year he started brewing and home town. All our products are made in our sunny Sussex studio and make a great gift for Father's Day, Christmas, or Birthdays. Each t-shirt is carefully sent in a presentation box ready to be given as a gift. If you have any questions, please don't hesitate to contact us via the Ask the Seller button. Our 100% cotton T-shirts are available in 3 colours, charcoal (as photographed) navy and white. 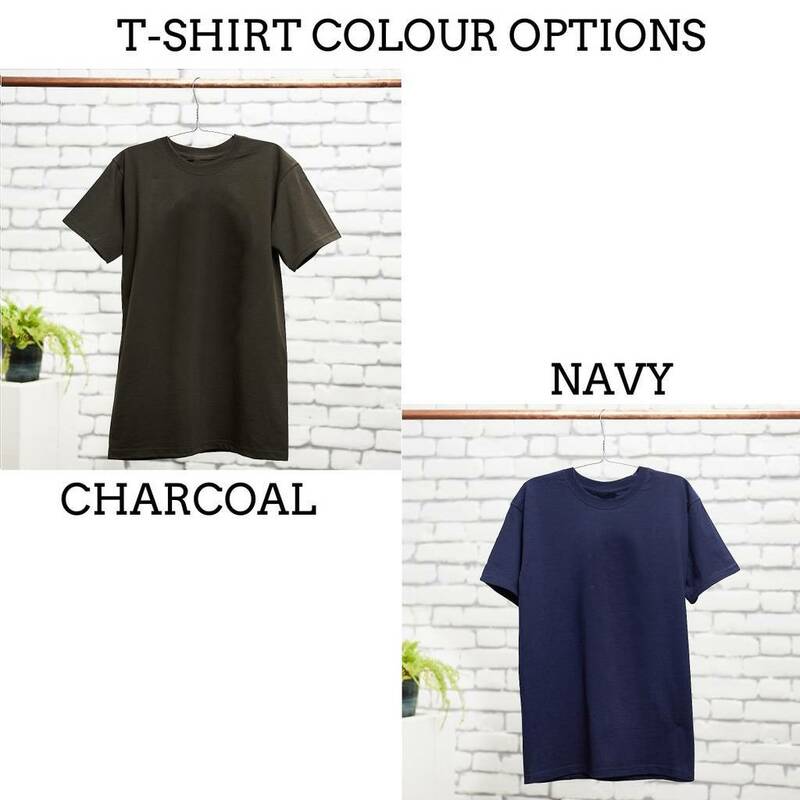 For Navy & charcoal t-shirts, the design is printed in white and for the white t-shirt the design is printed in black. Male T-shirts: 100% cotton, long lasting and 2 colours to choose from. Colours available: charcoal & navy. All options are printed with a white design.